AT&T gears up for limited 5G launch. AT&T will launch its 5G network on Friday 21 December, connecting a “select” number of businesses and consumers in 12 cities across the US. 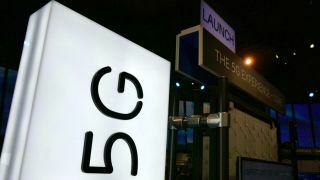 The company had promised to go live before the end of the year and becomes the second 5G operator in the US, following Verizon’s launch earlier in 2019. Its limited launch therefore allows it to fulfil this pledge. Whereas Verizon’s initial foray into 5G is focused on Fixed Wireless Access (FWA) broadband, AT&T is offering a limited rollout of 5G mobile hotspots. It is therefore making the slightly exaggerated claim to be the only company in the US to offer a mobile device on 5G. The network is available in “parts” of 12 cities – Atlanta, Charlotte, Dallas, Houston, Indianapolis, Jacksonville, Louisville, Oklahoma City, New Orleans, Raleigh, San Antonio and Waco. It is unclear how much of each location is covered, so its no surprise that the first customers will be connected for free. Early adopters will receive a Netgear Nighthawk 5G mobile hotspot and at least 90 days free 5G. The device will eventually cost $499 up-front with 15GB of 5G data costing $70 a month. The first 5G smartphones will be available later in 2019, offering faster mobile broadband services. Future advances in the technology will allow for low-latency, enabling a new range of business applications. The first commercial services in the UK will arrive at some point next year, with EE, Three and Vodafone all confirming launch plans.